Whoa, hey Wednesday night, where'd you come from? Has this week been super screwy for all of you too? Sunday I thought it was Monday, Monday I had no clue what was going on, and Tuesday and Wednesday have completely smooshed and become one, so I am ridiculously behind. I love this little dog. She's an amazing dog. She loves going on hikes, and has proven herself to be an awesome running buddy, keeping up with me on my 3 and 5 miles runs so far. On a more morbid note, while coming home from my 5 mile run on Tuesday, I noticed a helicopter circling the area, and the 5 police cars I had seen on my way out were joined by far more. 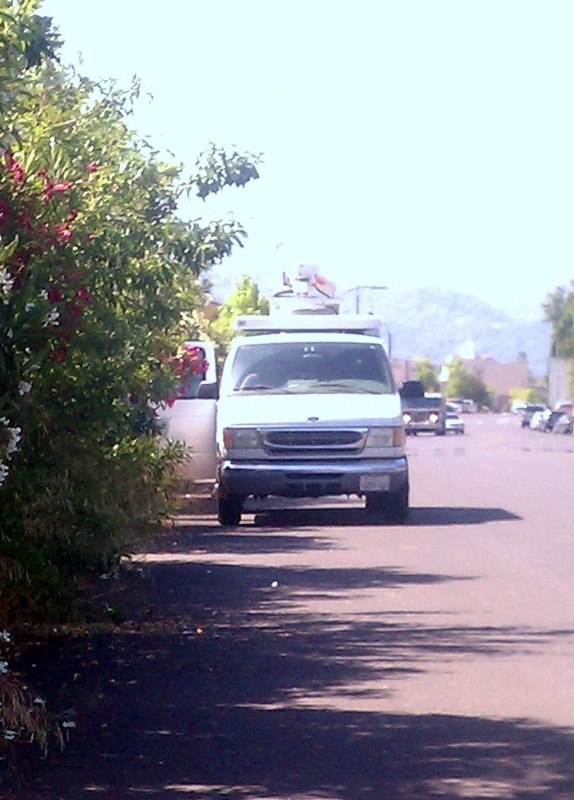 There was also a a news van and crew with their camera pointed at the percolation pond...at the end of my street. Creepy right? I found out later from Ashley, who actually watches the news, that the police pulled a man's body out of the pond. Later I asked my apartment management what happened. It seems that an intoxicated man decided to go for a swim, and that didn't turn out so well for him. 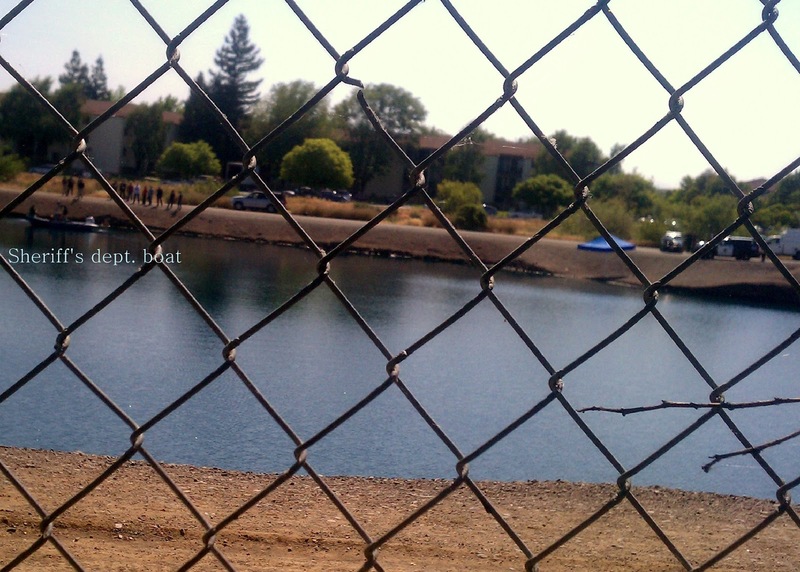 It's very sad, but I was glad there was no nefarious reason a body was dragged from the pond literally a block from my apartment. 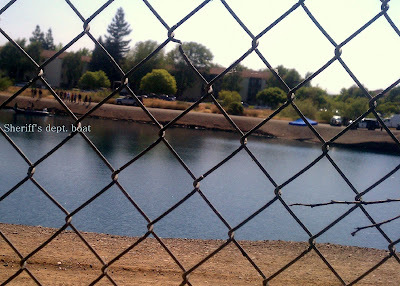 There was a small motor boat that belongs to the Sheriff's dept., as well as a load of people on the side of the pond while they checked out the area. One of the local News station vans was on scene filming the body retrieval. Later on Tuesday, I picked up the newest book of the Starcrossed trilogy by Josephine Angelini! 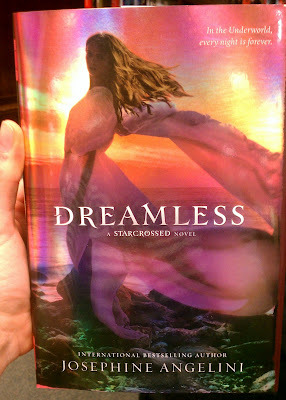 I read Starcrossed back in September, and loved every page. I was so bummed I would have to wait until May for the next one to come out because I needed more of the story right away! The wait was surely worth it. 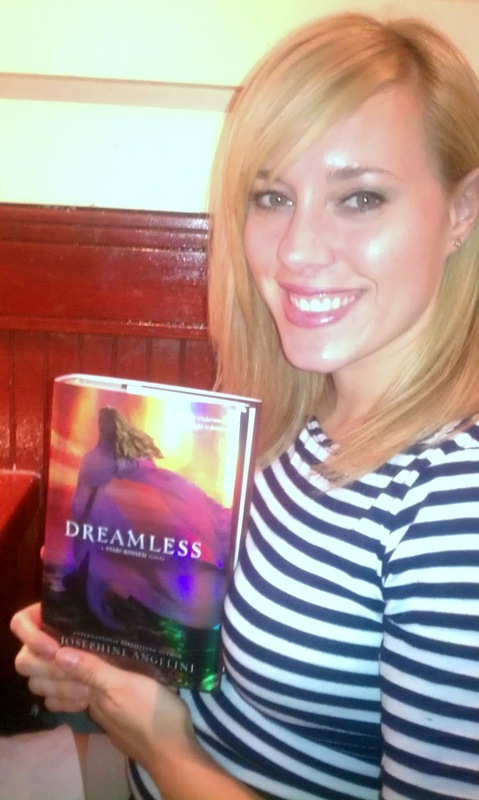 Dreamless is book 2 of the series, and oh. my. god. I couldn't put it down! The entire book was action packed, the pacing was superb, the characters are so real and well written you feel everything they are going through. I finished it in two sittings, busting through 300 pages the first day. Truly a great series by a super sweet author. Every time I have tweeted about the books and included @JosieAngelini, she has responded or favorited my tweet! There are not many authors who have the time, patience, or desire to answer their fans, and I just love that Josie makes that extra connection. I recommend these books for sure! I never would have thought you had an oily face, just dewy and beautiful! okay, texting you back soon! LOVE your little doggy! 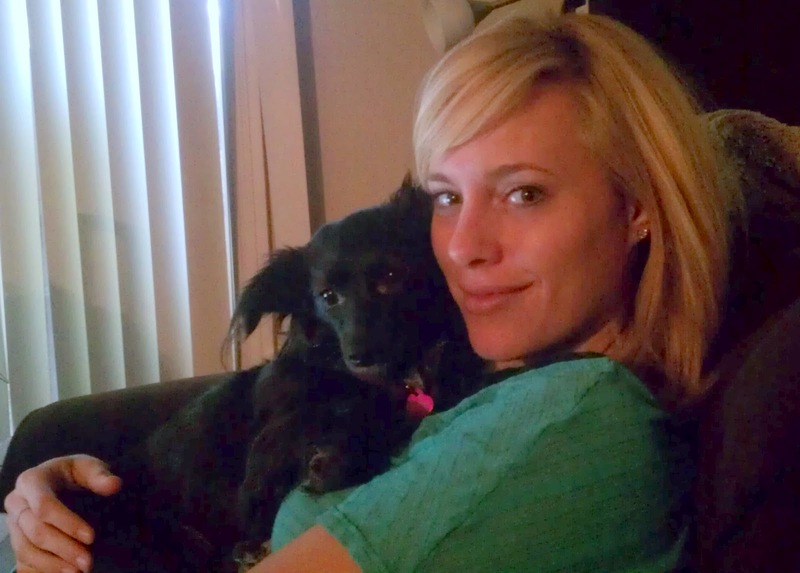 She looks like a mix between my two dogs! So cute!! You also remind me that it's time to go running. That's nuts about your pond - it would have scared the life out of me! !